QCon starts with 2 days of tutorials on Monday and Tuesday, June 8-9 followed by the full 3-day conference from Wednesday, June 10-12. The conference will feature over 100 speakers in 6 concurrent tracks daily covering the most timely and innovative topics driving the evolution of enterprise software development today. The setting is the beautiful, centrally-located Marriott at Brooklyn Bridge in New York City. Modern technologies for high-performance financial systems. Modern NoSQL and NewSQL innovations ready for tackling Big Data and your data. How to fight design erosion, accidental complexity and other architecture evils. Solving real world problems with data. Real-time, data-driven interactive applications in the browser. Best practices and novel approaches for service APIs. 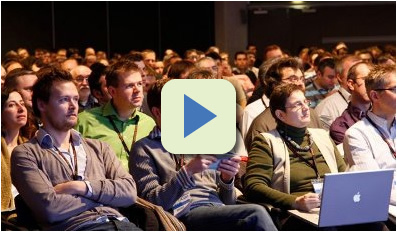 The latest Java features, new JVM languages and optimizing performance. Making sense of the ever-more fractured world of mobile development. Putting functional programming concepts to work in the real world.